In this final step we will put together all of our new comping figures into the progression. You can see how different the progression looks now that it's been written out to include these sections. 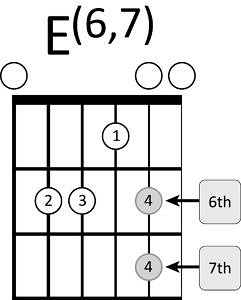 The bars of B7 have been left untouched for the sake of simplicity, but you can investigate other options here with your guitar teacher. Try play the whole progression with the newly adjusted bars. Watch the video at the bottom to see how it will sound. 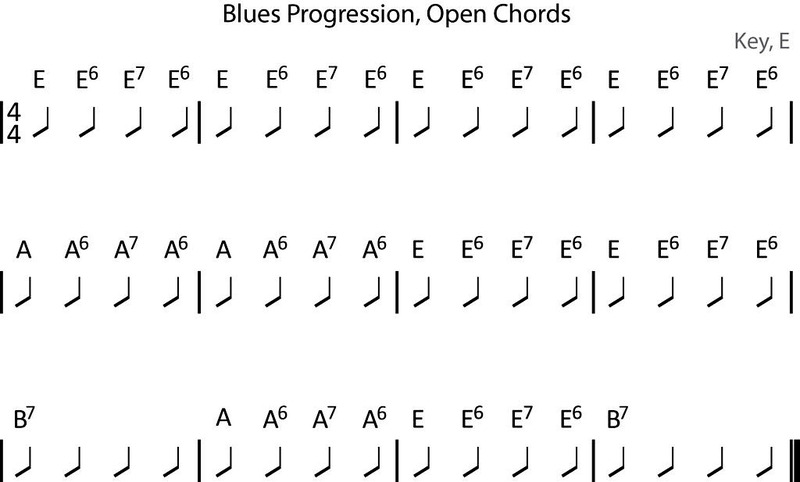 In this video the blues progression is played with quarter notes, or continuous downstrokes. While this makes the progress easy to play it doesn't sound the best. 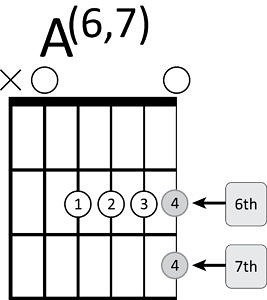 Switch the rhythm to continuous eighth notes (down and up strokes) to really add some interest. Want to go one step further? 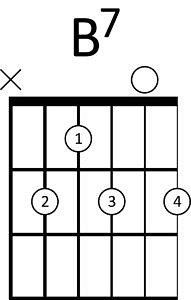 Try playing those eighth notes in a shuffle feel to really get things pumping along. Not sure how to play a Shuffle feel, check out our tutorial.